Roland Sands Design is an American custom motorcycle company and clothing label that produces some of the best looking, alternative gear on the market. 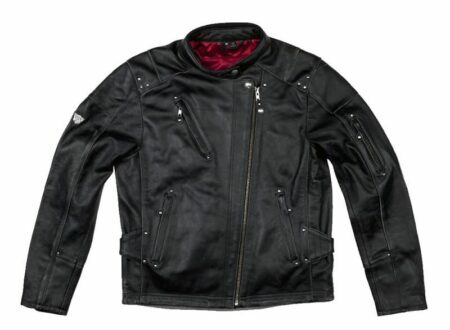 This is their Rocker Motorcycle Jacket, it’s made from lightly distressed 1.1mm genuine cowhide, it has pre-curved sleeves for comfort and has structural rivets placed at stress points to increase strength. This jacket, dubbed the “Chapter Jacket” is part of the new Icon 1000 line, it’s made from 100% Brazilian cowhide, has reinforced seams and zippers as well as a full set of CE approved impact protectors in the shoulder, elbow and back areas. 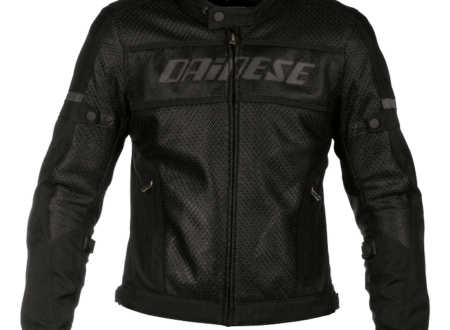 This is the G. Air-Frame Jacket by Dainese. 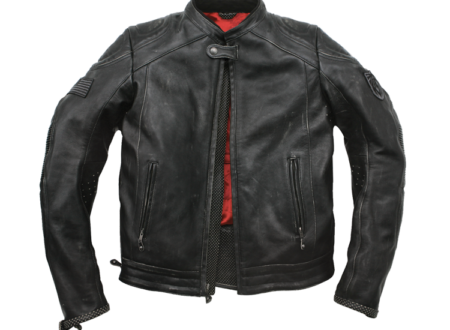 It’s a modern motorcycle jacket with full front and rear tight knit mesh venting, a removable zip-in liner for cooler weather, CE Level 2 body armour in the elbows, forearms, shoulders and back, it also has stud-tabs along the arms and around the waist to allows you to tighten the jacket and ensure a snug fit. 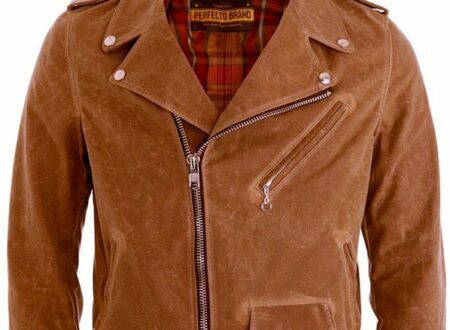 Schott have made a name for themselves creating some of the most iconic jackets of the 20th century, Marlon Brando single handedly made the Perfecto line of jackets famous by wearing one in the 1954 cult classic “The Wild Ones”. 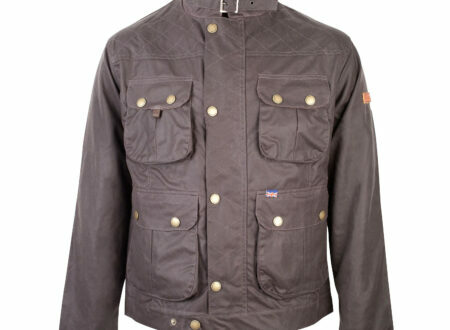 The Peregrine TT Jacket has clear British design influence, mostly from the pre-WW2 era and resembles the jackets offered by companies like Belstaff. 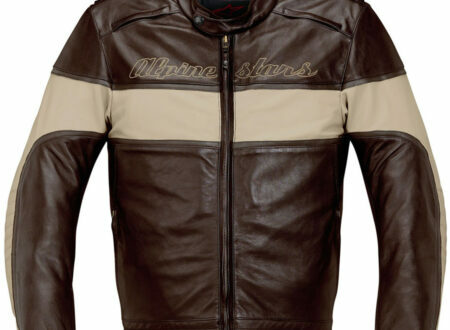 It isn’t always easy to find a good-looking retro motorcycle jacket that also offers all of the modern safety benefits of CE body armour and impact absorbing foam core-plates, fortunately Alpinestars offer this, the Drift Leather Jacket. 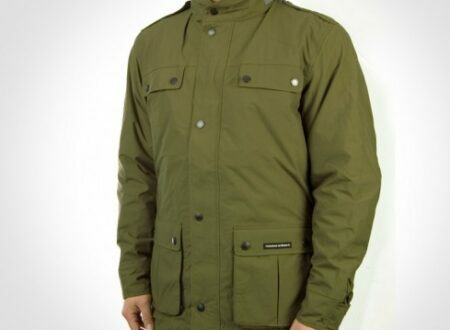 Sometimes the tried and tested leather motorcycle jacket just isn’t warm or waterproof enough for the depths of winter, Tucano Urbano decided to tackle this issue with this, the Libeccio Jacket.